The myth of the Texas Miracle led to the 2001 passage — after Bush became president — of “No Child Left Behind,” a bi-partisan law with the goal that all students, including Special Education students and English Language learners, score proficiently in math and reading by 2014. Just as the Soviets failed to achieve their five-year plans, 2014 came and went; we still have an achievement gap and not all of our students are scoring proficiently. Setting a goal doesn’t mean you will reach it. In “The Testing Charade: Pretending to Make Schools Better,” Harvard’s Daniel Koretz clearly and persuasively breaks down the spectacular failure of our standardized test accountability system and how so many of our educational and political leaders still blindly and/or stubbornly believe that high-stakes, punitive testing can improve students’ educational achievement. Some policymakers even call for more testing of “soft” skills, such as grit and social emotional learning. But with the exception of fourth grade math scores, our billions of dollars and hours spent on testing have resulted in no improvement in student scores over a 30-year period, according to National Research Council. Even that “gain” does not persist through the upper grades. What about the famous achievement gap between underperforming sub-groups and middle-class white students? Since the 1980s, The NAEP (National Assessment of Educational Progress) Long-Term Trend assessment showed no narrowing of that gap. Still, there is little public discussion on changing paths. The Every Student Succeeds Act, or ESSA — a revised version of No Child Left Behind — still requires federal approval of state accountability plans. The results in Texas were similar, although it’s worth noting that most of the gains in closing the achievement gap occurred during the school integration days of the 1970s and 1980s. Compared with other states, Texas state rankings fell both in 4th grade math and reading from 2000 to 2009 — while we were busy testing. Between 2011 and 2014, the achievement gap actually grew 11 percent statewide (with the exception of El Paso). Koretz is not against measurement per se, but he emphasizes measuring what matters, which he sums up as the “big three”: student achievement, educators’ practices and classroom climate. Koretz cites examples that show how deceptive and superficial test score gains can be. For instance, when the safety of driver’s seats in cars was tested, its safety improved, but the safety of the passenger seat declined. Why? It wasn’t tested. Don Campbell, one of the founders of science program evaluations and for whom the law is named, noticed that when you measure one domain, attaching penalties for failure, you gain in that domain while losing ground in the untested areas. That happens in schools, too. Our current testing regime leads to the unwanted consequences of cheating, bad test prep, the narrowing of the curriculum, score inflation and superficial learning. Some teachers are even coached by districts to ignore certain domains in the curriculum because they are not tested. In central Texas, certain low-income, low-performing elementary schools ignore social studies because it isn’t tested in their grades. This omission is especially disturbing when we remember that one of the goals of universal education is to foster good citizenship. At the same time, our tests don’t measure what we should treasure: inquiry-based teaching, engaged students, project-based learning and collaborative problem solving — skills essential to the ever-changing American workplace. As an educator, one of my favorite parts of the book is when Koretz contrasts two observed math lessons. One teacher asks her elementary students if a triangle or a rectangle can support more weight. The lesson begins with a student asking, “What do you mean by more weight?” A robust discussion ensues; the children come up with a hypothesis, and then the teacher distributes models of both shapes so that students can test their assumptions. In contrast, a high school math teacher asks students to solve a problem. After several wrong guesses, she asks a student: What’s the rule? This student then recites the memorized rule, and that’s that. Which teacher would you want for your child? And yet the latter teacher’s students may do just fine on standardized tests. As an educator for over thirty years, I’ve witnessed the most important factor in student achievement: engagement. At my current middle school, the students struggling in science are part of a twice-weekly enrichment class. Rather than boring them with test prep, which might raise their scores, our science teachers create fun interactive experiments for them. The teachers’ posts on Instagram make me wish I were taking science again. To encourage kids to read more, we let them choose their own books. We purchase multiple copies of popular books to make sure they have access. If they love to read, they’ll read more, and this will do more for their academic achievement than just about anything else. Texans have made some progress in dialing back the testing regime. But punitive, high-stakes testing remains the tail that wags the public education dog in Texas. 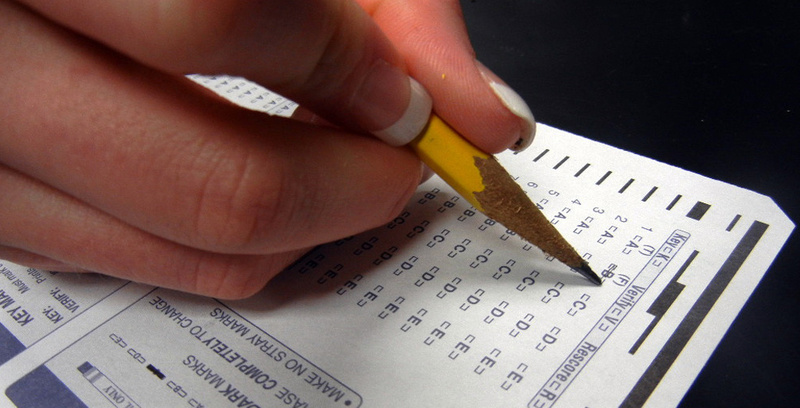 No other nation emphasizes standardized testing the way we do. The question, for all of us: Is it worth it?